Boom! Pow! Crash! Greek Gods as you've never seen them before! 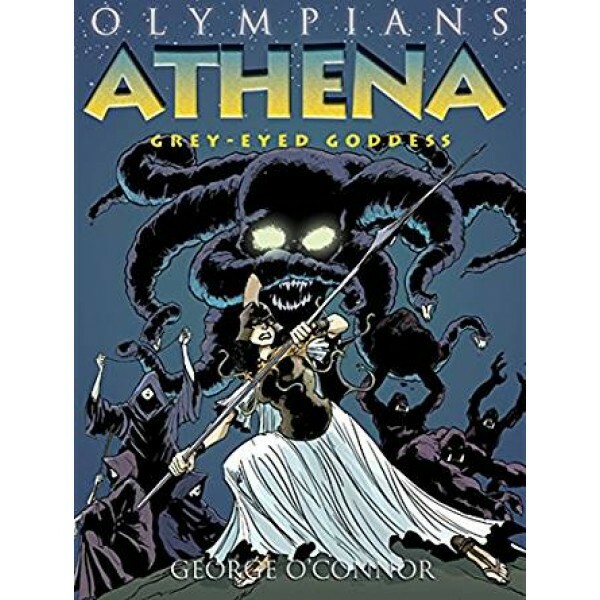 The strong, larger-than-life heroes of the Olympians can summon lightning, control the sea, turn invisible, or transform themselves into any animal they choose. Superheroes? No! Greek gods. The ancient pantheon comes to explosive life in this new series where myth meets comic books. Epic battles, daring quests, and terrible monsters await readers within the pages of these graphic novels. 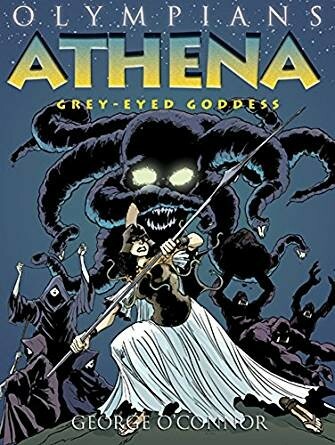 Athena: Grey-Eyed Goddess, is the tale of the goddess of wisdom and war, recounting her many adventures.